Just as the famous "Got Milk?" advertising campaign taught us the importance of having a refreshing glass of milk at crucial moments in life, "Got Demo?" reminds you just how important it is to have a trusted demolition expert when the need arises. We are working hard every day to provide the best service and quality at the most affordable prices. 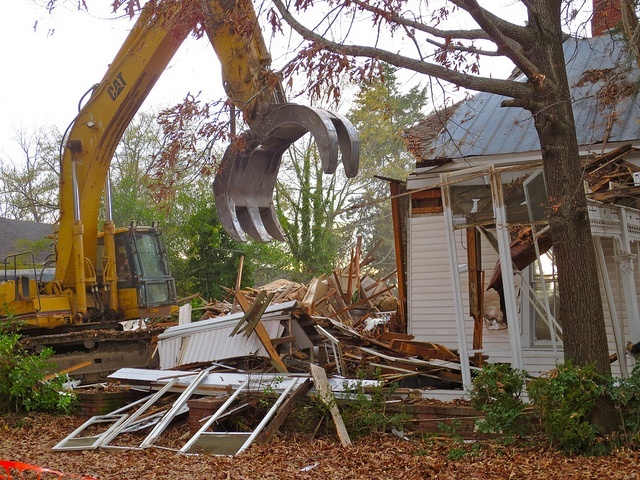 When it's time to remove that building, driveway, pool or other demolition project and you want it done right, the question you need to ask is, Got Demo? Time to remove your swimming pool? Arwood Site Services of Jacksonville will give you reliable and comprehensive service at an affordable rate. Removing your swimming pool can reduce hazards and liability, expand the number of potential homebuyers, eliminate costly upkeep and give you more yard space for lawn activities. Call us toll free at (904) 751-1628 and get your yard back. Our demolition experts specialize in cost effective concrete removal to save you time and money. With our experience, we can demolish and fill in any size in-ground or above-ground swimming pool. First, Arwood Site Services of Jacksonville researches the permits and stipulations of Jacksonville, FL before we begin removing your swimming pool. Then we drain the swimming pool by drilling through the concrete, allowing the water to escape. Next, we remove the structure and fill in the open space. A simple and less costly method of pool removal is the partial swimming pool removal. For this method, concrete is removed while the rest of the pool area is packed with gravel and soil. We can also provide a full demolition and removal of your swimming pool. Instead of simply removing the top few feet of concrete, the entire structure is broken up and removed. 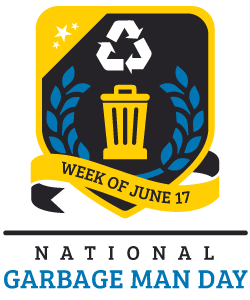 Excess concrete will be recycled and reused, saving you money and keeping concrete out of landfills. We guarantee a thorough job with minimum environmental impact for any budget. Easy no obligation quote at (904) 751-1628. Call toll free. Reinforced concrete removal will cost $600 to $800, and take roughly three to four hours. Removing a 2 car driveway at roughly $1,500 to $2,500, assuming the concrete is unreinforced, this job will take 4 to 6 hours. Reinforced concrete will cost$2,500 to $3,500 and will take roughly six to eight hours. We are an experienced demolition contractor that has a portfolio of projects that is second to none. We have the capabilities to demolish just about anything. The collective experience of our team in demolition services is so broad that we’re equipped to handle any challenge that could possibly arise on the job site. Every demolition job is different, and each has its unique challenges. Once the demolition project is complete, all debris and rubble is hauled off and removed from the job site. Providing quality demolition services to our customers is a top priority of ours. Whether it is a commercial or residential demolition project we have the experience to complete job on time and within budget. We strive to take a proactive approach to conserve and re-use material when possible. Our experience enables us to quickly and accurately assess your demolition needs. Who says you can’t get something for free these days? We’re proving that’s simply not true with this special gift exclusively for our valued customers. 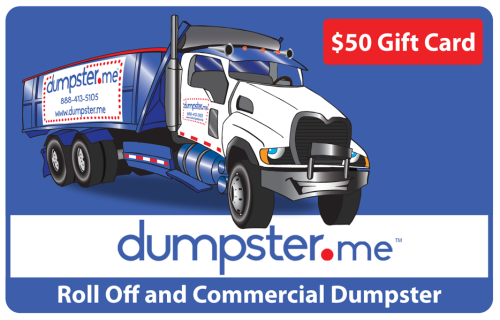 Arwood Waste is giving you a FREE $50 Gift Card from our partner site Dumpster.me. Now that’s a nice discount on your next Roll-Off or Commercial Dumpster Rental. This gift card is normally purchased on sites like Amazon.com and our other Partner Retailers but it’s our gift to you just for being our customer. Simply download your special dumpster gift code below then head over to Dumpster.me and enter that gift code when you place your order. We are so excited to give this free gift to you simply as a Thank You for trusting us with your business. 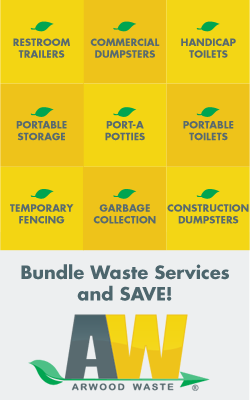 Arwood Waste and our partners are proud to serve your Roll Off Dumpster Rental, Portable Restroom, Commercial Dumpster Rental, and Storage Rental needs. The post Special Summer Gift For You – Download a FREE $50 Gift Card appeared first on 123 Dumpster Rental. Thank you for choosing Arwood Waste. Whether we are drilling your well and/or installing your pump system. It is our goal to provide our customers the most professional, dependable and honest service provided by long-term employees utilizing the highest quality of products available. In an effort to achieve this goal and to keep surprises to a minimum we have put together the following frequently asked questions. Please take a few minutes to read them. 1. Q: How much room is required to demolish my well? A: Imagine a 30ft truck that is 8ft wide and is towing a 30ft boat that is 8ft wide, the well is drilled where the trailer hitch would be. Additional room is required on both sides of the rig and water truck for the access and for the pits that are dug. 2. Q: How long will it take to abandon my well? A: Well drilling completion times vary from a half day to three days or longer. Drilling time is affected by many factors including time to set up, difficult drilling formations and weather. All of these factors vary from site to site and well to well. These are also factors that we have no control over. In addition, the time it takes to develop each well is different. Because of these variables there is no way for us to give a fixed time for well completion. It is for this same reason that we can not give a fixed time for when we can start your well until the one before yours is completed, developed and the drilling rig is moved off the previous site. 3. Q: Why can’t AW Waste give me an exact start date for my well demolition? A: Because of the variables listed above there is no way for us to know the exact day we can move on to your site. We will make every effort to call you the day before we know we can be on your site. Sometimes for varying reasons the schedule can change so fast we may not be able to call you the day before. 4. Q. Will you move and reinstall my plants and / or fence? A: Our policy on plant and/or fence removal is that if the plants and/or fence can be removed by our two man crew in less than a ½ hour we will do so. During our pre-drilling site visit we will let you know if we will be able to remove the plants and/or fence. Plants or fences that have been removed will need to be replaced by others. 5. Q: Do you cut tree limbs that are in the way? A: If we feel that it is safe for us to cut tree limbs that are less than 2 inches in diameter we will. If not then tree limbs that are in the way will need to be removed prior to us arriving to drill your well. This issue will be discussed during our site survey. 6. 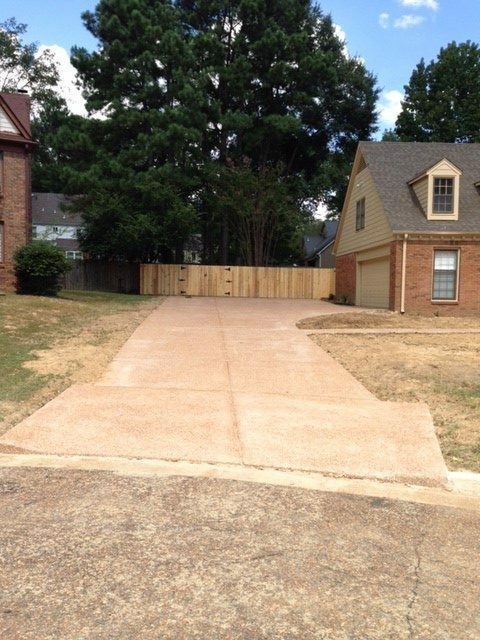 Q: Will my concrete or asphalt driveway, sidewalks and curbs break or crack? A: It is possible that these items may be damaged. Equipment required to drill a well is heavy. PWD will take every reasonable precaution to avoid driveway damage however if the driveway is damaged, PWD will not be responsible for repairs. 7. Q: Will the trucks make ruts in my yard? Will you re-sod my yard? A: Ruts are common when moving drilling equipment onto and off of a site. The softer and wetter the soil the deeper the ruts will be. All of PWD’s drilling rigs are 4WD which helps to keep us from getting stuck & keeps ruts to a minimum. Repair to ruts or re-sodding is not included in PWD’s scope of work. We can use Plywood/Boards to minimize damage to yard while moving equipment on and off of well site for an additional charge. We will be glad to price this service for you upon request. 8. Q: What happens if PWD cuts or damages underground utilities? A: Unfortunately we have no way to know where utilities are buried on your property. If we damage an underground utility that has been clearly marked, we will take responsibility for the repair. If we damage an underground utility that has not been clearly marked we do not take responsibility for the repair. Underground utilities would be defined as buried cable, telephone, gas, electric, irrigation systems and water or sewer lines. 9. Q: Why do you have to dig pits in my yard? A: Part of the drilling process includes removing cuttings from the borehole we drill during well construction. To contain & dispose of the cuttings we usually dig two pits beside the drilling rig. These pits vary in size based on well size & depth. Generally they are +/- 3ft wide x 6ft long x 4ft deep. Drilling fluid is circulated through the pits where the cuttings settle out and the drilling fluid is reused. We will cover the pits when the well is complete. The cuttings are natural material that was drilled out of the earth. For a period of time the covered pits will be soft. In time they will firm up and you will not know they were there. 10. Q: What is done with the cuttings that are produced during the drilling process and the excess drill mud? A: During the drilling process some of the drilling fluid will have to be pumped out of the pits and onto your property. This helps to keep us from having to dig an additional pit and it helps the pits to dry out and firm up quicker. The fluid looks like cement but it is not. It is a natural clay “bentonite” that is required for the drilling process. This fluid will settle, and seep into the soil over a period of time. If you do not want pits dug in your yard there is a solution. We can use portable above grade pits instead of digging the pits. When we use the above ground pits we also bring a vacuum tank to remove all of the drill cuttings and fluid from your yard. This does require an additional crew member, an additional truck, the vacuum tank to dispose of fluid and drill cuttings off site, therefore there is a charge for this service. We will be glad to price this service for you upon request. 11. Q: Can PWD leave my well head below grade? A: Well drilling regulations require us to leave the well head at least 12 inches above grade. In some cases the pump and / or tank can be offset from the well head. In other words, the pump equipment can sometimes be installed away from the well. For example the well could be in your back yard and the pump and /or tank equipment can be installed beside the house. This is an offset installation and is more expensive because of the additional time and materials required. 12. Q: When will the pump be installed? 13. Q: Do you do the electrical hook up to my pump? A: We are not licensed electricians therefore we do not do electrical work. 14. Q: How do I pay for my well & pump? A: PWD requires a 50% deposit when the well order is placed. Balance is due upon completion. The last department scheduled to do work for you will have an invoice and they will be expecting to collect payment at that time. If there will be a delay between when the well is drilled and when the pump will be installed, then payment for the well would be paid upon completion of the well to the driller before he leaves your site. For everyone’s safety we respectfully ask that all customers stay at least 20’ away from our drilling operation. If you have questions our drillers will be glad to come to you and answer any questions you may have. Please keep in mind that there may be times during the drilling that they can not stop immediately and answer questions. They will stop when it is safe to do so and answer your questions or tell you who to speak with at PWD to get the answer if they are not able to answer your question. We are pleased that you are interested in how your water system is being installed and welcome your questions. If you have any questions that you did not find the answers to above or if any of the information provided needs better clarification please call our office, we will be glad to help you with your questions. Thank you for contacting Arwood Waste & Demolition for your well drilling project. We look forward to providing you with professional and friendly service along with the highest quality products available. A leader in the demolition industry for close to 30 years. Three generations of growth and success since the mid 1980’s. It’s what’s behind every one of our projects. Arwood can provide demolition of any size commercial building or complex. Whether it be a high rise office building, or a multiple acre facility AW Waste will remove all debris fast and efficiently, on budget and on time. AW Waste can provide demolition of houses whether it be one or hundreds in a group to clear an area for new construction or new facilities of any kind. 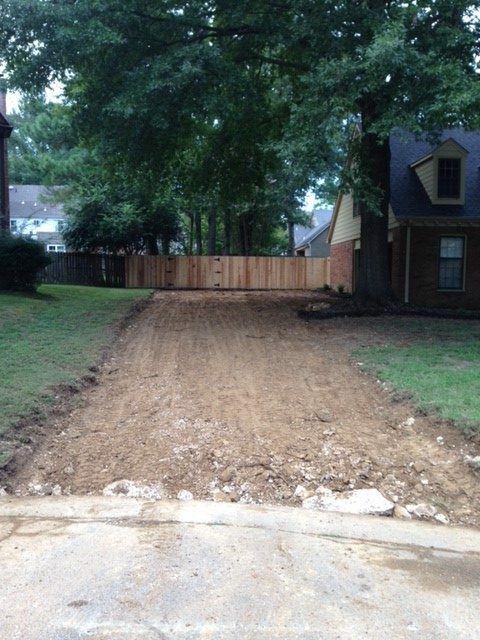 Whether it be from fire damage, natural disaster, or new development we can handle the complete site clearing including trees, concrete drives, and walks. Ar can provide the dismantlement of a specific structure or equipment that does not involve bringing down the entire structure. Which can include, but is not limited to, the removal of exterior/interior equipment, walls, floors and ceilings. AW can provide site paving demolition of concrete or asphalt, also concrete or wall cutting/sawing. Whether it be 200 square feet, 2 million square feet, or 20 miles of Highway. Industrial plant strip-outs have become a specialty to I AW Waste n many cases it is imperative that these projects are completed on time or ahead of schedule. While these time constraints are important, safety is never compromised. AWhas completed many of these strip-out projects for automotive, energy, chemical, foundries and mills. As a prime contractor or hired as a demolition subcontractor. AW has completed a list of projects for various Schools, University’s, Churches and Local, State Municipalities. We has the ability to use explosive or non-explosive techniques when controlling a fall of a certain structure. When conditions are present for this particular project, Arwood has the capability to bring down a structure within a controlled perimeter. This can be accomplished using implosion on a multi-story building or through tight spot tipping on silos, smoke stacks, large antenna’s and water towers. The highest degree of calculated precision is used when bringing down these structures, without risk to personnel or damage to the surrounding structures or properties. 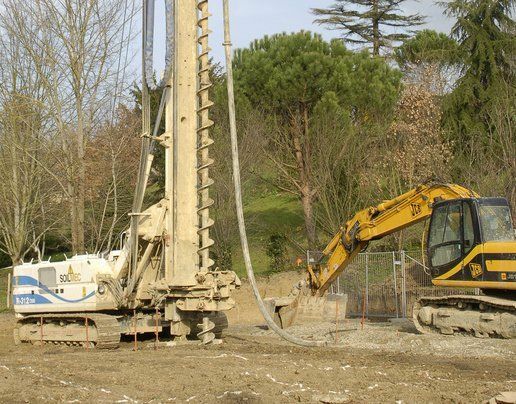 Total site reclamation can be obtained by the clearing of all hazardous and contaminated material, along with the removal of underground storage tanks, leaving the site ready for new construction or use. AW will coordinate with Federal Agencies such as the Federal Emergency Management Agency (FEMA), the Federal Bureau of Investigation (FBI) and the U.S. General Services Administration (GSA) or any Insurance Group as needed. AW will respond to any disaster ranging from Tornadoes, Fires, Hurricanes and Earthquakes or Crime Scenes that deal with arson and collapsed multi-story buildings that fell due to disaster. Critical lift/pick is carefully designed through the combination of structural engineers and the use of precisely the right equipment. The customer (owner) may request to salvage a portion of the project for possible reuse in the future. AW will carefully access and implement a controlled reverse construction process. Helicopter air lifts, man lifts, sky tracks and cranes are typical pieces of equipment used to dismantle. The proper safety check list is always followed when decommissioning storage tanks. This will prevent any damage to the environment and safeguard any risk to the public or AW’s own working personnel. Types of tanks would include petroleum, chemical, and water either underground or above ground. AW can provide any mechanical and electrical demolition. Removal of older services, abandoned units, HVAC, ductwork, boiler and chiller removal, cooling towers, piping and supply lines. Hydraulic Crane Work 50-100 ton, Demolition Crane Work 50-75 ton. Roll Off Waste Container Services 15, 20, 30, 40 & 50 Cubic Yard. It is the goal of AW Wrecking Company to provide services from the most efficient, best trained, knowledgeable, and safety conscious personnel in the demolition industry. Requests for quotations, information or clarifications will be handled in a prompt, professional and customer oriented manner at no cost. You can be assured of the most comprehensive work plan executed throughout to maintain your project schedules. We strive to exceed your every expectation. You need a demolition contractor who has the knowledge and skill to bring your residential or commercial structure down safely. Count on the experts at AW Waste Construction Services Inc for professional demolition services. We have over 30 years of experience and quality equipment to help you with your project. Customized demolition for specific projects, concrete cutting, windowpanes, etc. You can depend on us to provide you with competitive prices for all of your demolition projects, roll-off dumpster rentals, and construction services. A few months after shutting down the St. Johns River Power Park, the site’s two 464-foot-tall cooling towers are ready to come down. The city has approved a permit for demolition of the towers, which is expected to cost $14,511,047. JEA spokeswoman Gerri Boyce said she does not have an exact date for the demolition. Until it shut down in January, the St. Johns River Power Park was a coal-fired electric generating plant, 80 percent of which was owned by JEA and 20 percent by Florida Power and Light. About 200 workers were displaced when the plant closed. At most, the plant consumed 4.5 million tons of coal per year. By closing the plant, JEA reduced its carbon footprint by 30 percent, according to the utility’s website. The facility, located at 11201 New Berlin Road in northeast Jacksonville, took $1.45 billion to construct in the early 1980s. It began producing electricity in 1987. The plant sits on a 1,600-acre site. JEA plans to sell the land, with the exception of about 100 acres near the plant, which JEA will use to possibly build a natural gas plant. New York-based Total Wrecking & Environmental has contracted with JEA to conduct the demolition. Is The House A Good Candidate For Tear Down? Potential tear downs are typically outdated houses in popular, sought-after neighborhoods. Maybe they’re much smaller than average. The kitchen might be so old the last person who cooked in it had a beehive hairdo. They might have serious structural issues that make a renovation too costly. All this means they tend to be priced below average for their street or neighborhood and often sit unsold longer than others. Is The House Beyond Repair? Older homes can have so many problems, it’s just not financially feasible to repair them. Heavy infestations of mold or pests. Extensive water damage undermining the foundation or footings. Roof damage from wind or rot. Some houses have interior layouts that are too tough to rearrange for today’s lifestyles. Will The Eventual Value Make It Worth It? Real estate experts say a tear down should be able to support a new house that, when complete, is valued at two to three times the price of the tear down house when you bought it. If you can nab an older, outdated house in a great location for $200,000, then sell it later for $400,000 to $600,000, that’s a good candidate. Start by looking at the comparable property values — “comps” — of surrounding houses to get a better idea. Do You Want All The Modern Bells And Whistles? Think about what’s important to you, or to your potential buyers. Do you want a home that’s energy efficient, from windows to doors to kitchen appliances? Wired for all the latest electronics? Contemporary room layouts? By the time you update an older house with all those bells and whistles, it might be cheaper to tear it down and build from scratch. Copyright © 2019 Jacksonville Demolition Contractor. All Rights Reserved.